laptopchargers.ie specialise in selling laptop chargers, also known as laptop adapters. We stock all makes and models of laptop charger including unusual high amp ones. 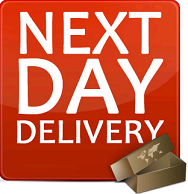 We offer next day delivery on all laptop chargers by using a nationwide courier service. If you cant find the correct type of laptop charger you require, please drop us a mail info@laptopchargers.ie or call us on 1890 4 8 16 32 Our lines are open Monday to Friday 9AM to 6PM. The DC (Direct Current) rating for your laptop charger is always specified on the underside of your laptop. It will be stated on a label that says INPUT/OUTPUT DC. For HP laptops this information is hidden under the laptop battery. The charger voltage should be within +/-1 volt of the volt rating specified underneath your laptop. Most popular laptops are 15v, 18.5v, 19v, 19.5v or 20v. The charger’s amps rating needs to be the same or higher than the value specified underneath your laptop. You may find that your suggested charger has a higher amps rating than your previous charger. This is not a problem and there is absolutely no risk of damage to your laptop. The higher amps rating means that charger will last longer and is of higher specification. Most laptop chargers are 3.16a, 3.25a, 3.42a, 3.5a, 3.95a, 4.62a, 4.74a, 5a, or 6.3a. The figure for Watts is simply the voltage multiplied by the amps. The wattage of the laptop charger must be the same or higher than your previous charger. So, a 90w charger can replace a 65w charger but not the other way around. The replacement charger must have an identical connector tip to your previous charger. We have provided an image of the adapter pin for you to double check, but our extensive experience and databases ensure that the tip on the suggested charger will be correct for your selected laptop. If your laptop charger is broken we can have you back up and running in no time.